For an 11th time already, Montrealers embrace their Nordic side at the Old-Port in Montreal. 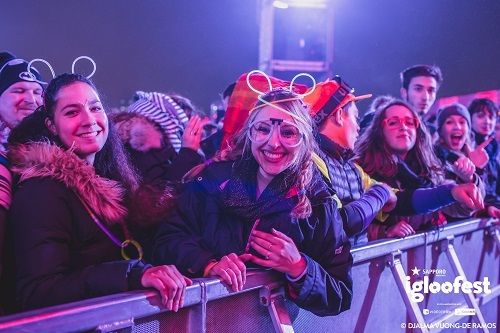 Once again Igloofest festival celebrate the cold season and offer the chance for Montrealers to have fun and dance under the stars in the heart of the city. 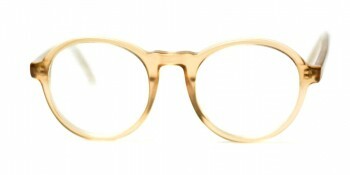 Dadou, our frames Designer, is impressed by the creative genius, passion and antics behind some fashion accessories :) she could not help but think that It is important to rank these fashionionistas and propose the Top 5 of #IGLOOSWAG… of Glasses for these hottest evenings of the Montreal winter ! 1. 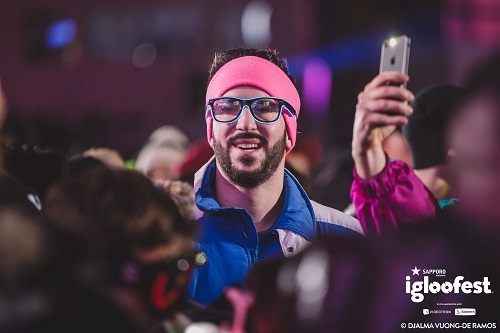 Round sparkling Flashy Pink Glasses started the “bling-bling” trend of IglooFest2017. 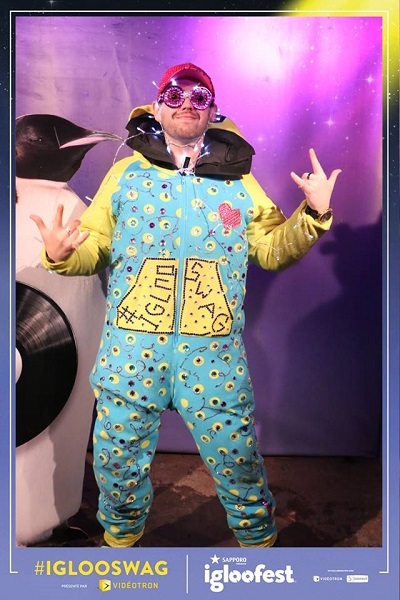 We Love the “colorful” Jumpsuit Specially made for #IGLOOSWAG, with the Hashtag sewn onto the fabric haha! 3. 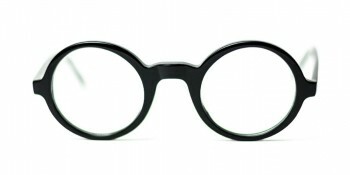 These Aviator Glasses made by High-Quality flexible light-stick are THE Igloofest Invention of this year! 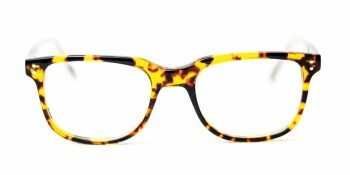 We are sooo Impressed, these are our favourites so far! We Love the matching fluorescent Ears. 4. 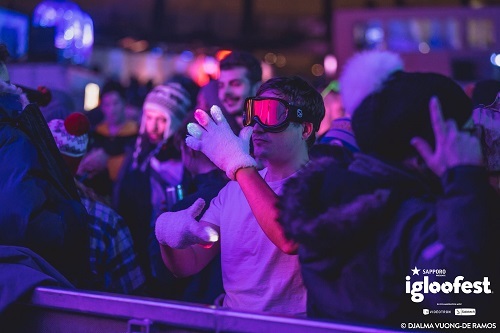 According to IglooFest, Ski Goggles are doing their Big ComeBack! Sunglasses had better watch out! 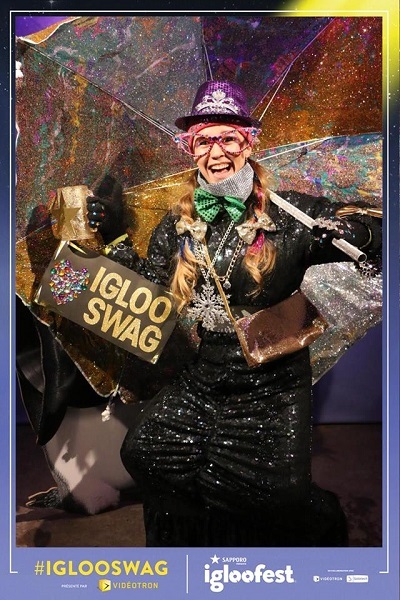 We love the flashy oversized gloves and the stylish techno-robot dance steps! 5. 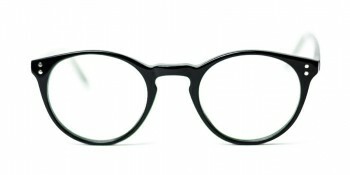 Awesome “Hipster?” Glasses Sir! 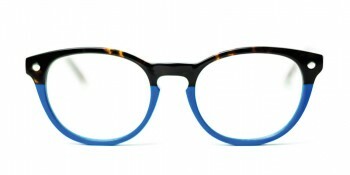 We love the blue edge! Yet we can’t help but wonder: are they glowing in the dark? 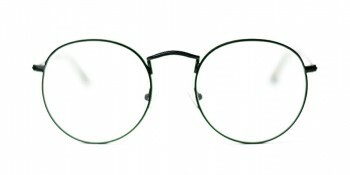 But If you are looking for Glasses a bit more discreet, you know for everyday’s life.. away from spotlight; we think we can help you. 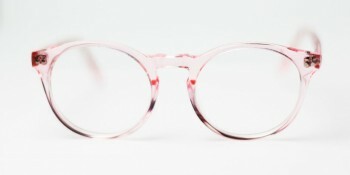 Click here to discover our collection of Binocles.